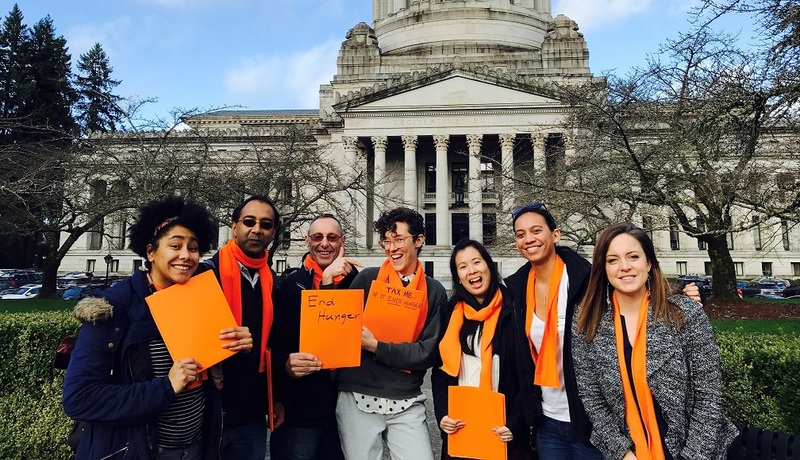 During each legislative session, the Anti-Hunger & Nutrition Coalition hosts Hunger Action Day, our lobby day in Olympia that highlights issues facing hungry families in Washington State, and brings their stories and priorities to legislators in the positions to make change that reduces hunger. Check out our coalition’s 2019 legislative priorities that go beyond emergency food assistance and addresses some of the root causes of hunger. The legislative session started this Monday and twenty percent of the lawmakers are new this session! Your voice matters. Join Hunger Intervention Program and hundreds of anti-hunger advocates from all across Washington State in Olympia on Monday, February 11th. Register now! We need to make sure hunger and poverty issues are front and center for our legislators. There are many legislation that we are excited about this year starting from fruit and vegetable programs for SNAP and WIC households to eliminating school lunch co-pays, providing adequate time for lunch for all students, and reforming TANF to help families with children living in deep poverty. All of these priorities align with our values and our mission. Additionally, this is a budget year—an important time to talk with legislators about what it will take to reform our state’s upside-down tax system to increase food justice across the state! No experience necessary! Training and guidance will be provided. Doors open at 8:30 am at the United Churches of Olympia. Spend the morning learning about our legislative priorities and practicing how to talk to your legislators. In the afternoon, we have set up meetings with your state legislators where you get to talk about our priorities, your story, and how we can all work better together! We hope you can join us. Register now! Let us know if you’d like any transportation help.